﻿ Is an App a Good Idea for My Business? Is an App a Good Idea for My Business? This might be a difficult question for you to even think about. 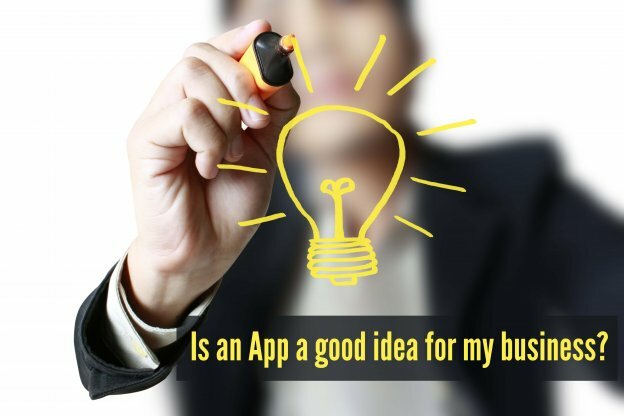 May be because you think your business does not need an app or you think your enterprise definitely needs an app or because you haven’t really considered the option. This is becoming the next important question of the century for the enterprises. Although, in this mobile age, this should not even be a question; the need for answer to this question is becoming bigger and bigger. Especially since the use of websites is becoming lesser and lesser as compared to the usage of apps. Even the reach that the websites used to have, is been taken over by business apps. This graph, given below, explains very clearly, the new trends of the day. The kind of data and information this graph provide almost suggests a near future when anything except for mobile will be called old-fashioned. In that case “you either go mobile or become outdated” will be the situation. Having an app gives constant exposure to your enterprise, your product and at the end of the day you. Somehow, not having an app, till the near future seems impossible. So what is making you ask the question: How Mobile Apps For Business Is Becoming A Necessity? Most enterprises today are afraid of how to make an impact on the audience using the one means everyone is using to keep in direct touch with their target audience. Apple, Google and Microsoft’s app market is getting crowded day by day. In and amongst this competition how can you, shine and stand out? This is the fear that basically raises the question: Does my business really need a mobile app? 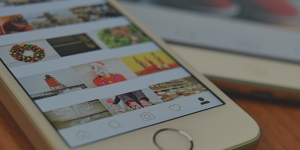 Has your targeted audience embraced mobile? 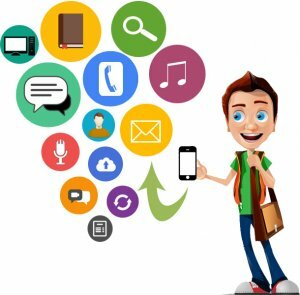 While the whole world is leaning towards smartphones and smart apps, it is still important to ask the question; Do my customers use mobiles/ apps? If, post analysis and surveys, the answer is yes, then you need to go ahead and make an app. There can’t be a better way to get in direct connection with your users. But to take the right decision you yourself need to keep updated. Is your business an eCommerce type? If your business deals in buying and selling on an online shop, then your business needs an app for sure. While your company may run well on websites, you cannot even begin to think the kind of difference one single solitary app can bring to your business. Most of the online shopping too now happens over mobile, which is why one company after another are thinking of going the Myntra style. So for you, only one advice, don’t think, just make an app. 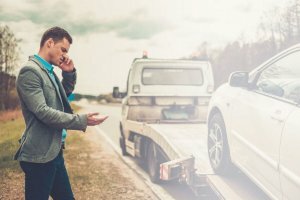 Do you provide service to the customers? A service provider needs to be in direct touch with his/her customers and app and its push notifications can be the only ways in which this is possible. The app’s logo on their mobile screen, a dedicated place in customers’ mobile, makes it easy for the users to use your services, instantly and immediately with one click, instead of searching your website on their browser. While it is important for you to follow your instincts to the core, you must never forget to look into the factual matter. Periodically surveys and analysis of what the market looks like or what your competitor is doing must be done to actually come to a decision about when and what kind of mobile app to make. Do you want to increase the customer reach? Do you want to take your business globally? It is also important to understand the kind of business you own and whether that scale of business requires an app or not. If your business is a local one and you want to limit it to being local then there may not be a need for you to make an app. But if you want your business to grow nationally and then globally, then don’t think just make an app. Can you support the app with updates in the long run? Making an app may sound simple but in reality, it isn’t. It actually is a long and continuous process that can never be put into the back seat. Once the app is made and is launched, it needs to be updated, upgraded and new features need to be added to it periodically. A team, some budget and other infrastructural facilities need to be constantly dedicated to the app. Don’t create an app because everyone is doing so. Don’t create an app because you assume its the right option. Don’t create an app for the sake of it. Only create an app when you are actually going to have a use for it and your enterprise is going to benefit from this act. Use this guidance and decide and decipher whether you need an app for your business or not. If you do want to make an app, then there is nothing else to do but to contact us! This page was last edited on May 31st, 2018, at 7:44. B2B Apps, a Real Enterprise Deal!